NEWLY FURNISHED! Includes New furniture and Brand New electric fire place! Brand new privacy slats installed on the patio. View Breaking Waves, OCEAN VIEW from the living room, patio & MBR. Just steps to miles of pristine beach. This 2 BD, 2 Bthrm. condo has been remodeled with all new appliances, w/d hook-ups, newly textured ceiling, newly painted, waterproof flooring throughout. Two step in shower stalls. All expensive remodel items are done. Make this your own beach front condo! 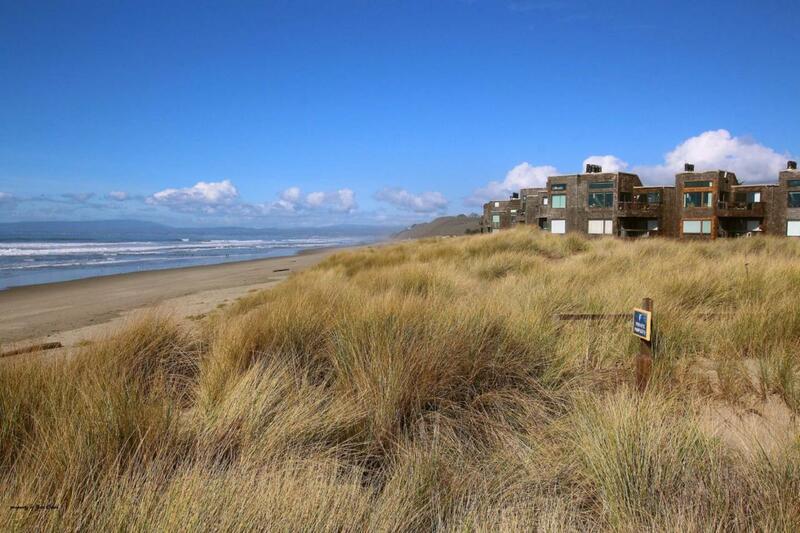 Shorebirds is a private, gated community located near Santa Cruz & Monterey. Close to fine dining, Aquarium, Fisherman's Wharf, beach and boardwalk, famous golf links and surf spots. May be vacation rentals, long term rentals, primary homes or just leave vacant for a family get-away. Friendly HOA has complete maintenance on site for owners convenience. On site mobile security 24/7. Homeowner's pets are welcome! Photos do not show all new furniture and fire place. Must see to fully appreciate. Listing courtesy of Gail Cruse of Sotheby's Int'l Realty-Rancho.